There is a place down south called Fairbridge Farm. It is in the outskirts of Pinjarra and was establish just 100 years ago. In the period from 1912 to 1982 3,500 children lived there till they were 16 or 17. Most had come from England with their families or on their own. This was where they spent the first years of their lives in Australia there. In many ways it was run like an orphanage – even though some of the children would rejoin their immigrant parents in Perth as soon as they were ready. There is a chapel in the village that was built in the 1930s. 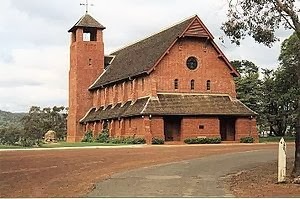 It was dedicated by the Anglican Bishop of Bunbury as the Chapel of the Holy Innocents. I remember being profoundly shocked by this when I first visited there only a few years ago. Over the years, some of the children from Fairbridge – as in other residential facilities for children – were betrayed by the adults looking after them and they lost their innocence in the most awful ways. I need to say, though, that the Dedication was made years before there was any awareness of those terrible things happening to the children there. The slaughter of Bethlehem’s infants is a gruesome event. Unfortunately the world we know can be just as violent. In every place of civil strife the innocent are killed. They are caught up in revenge and counter-revenge attacks by people who only want to inflict fear and terror on the people. 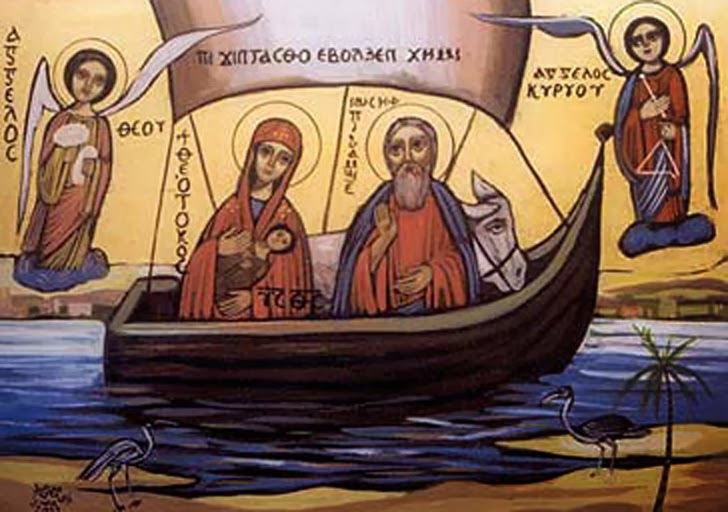 Now it would be nice for me to say that this text is here to remind us to be kind to refugees – because Jesus was a refugee, even a boat person as portrayed in this icon on the screen here. But this would do a disservice to the text. It might even blind us to something very important that Matthew wants us to understand about Jesus. This story identifies an important theme that will follow again and again in Matthew’s Gospel. It seems that the presence of this good man Jesus – evidently even from the time of his birth – posed a threat to the powers that be. Every force possible would be rallied against him. This climaxed in his execution by the state at the behest of the religious powers that be. But I think there is a more significant theme Matthew wants us to notice. In Jesus’ day, the Jews had a few “superheroes” of their history. These were the people who helped them define who they were or what it really meant to be Jewish. Abraham was up there as the Father of the nation. So was Elijah, regarded as one of the great prophets. Of course, King David was there, too. His story was almost unbeatable as the God-appointed King of Israel who was promised an everlasting dynasty. But standing above all these was Moses. Tradition held it that Moses wrote the first five books in our Bible – Genesis through Deuteronomy. His eminence relates to his role as the Law-Giver. He was also regarded as the only person known to have seen God face to face and lived. · Herod had ordered the death of the little boys in Bethlehem. This was just like when Pharaoh, king of Egypt, ordered the death of all newborn Jewish boys. · Both Jesus and Moses escaped these slaughters because God seemed to have other plans for their future. 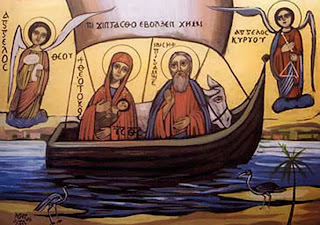 · Joseph took his wife and infant son away from danger in the dead of night. In the same way, Moses led his people to liberty from the Egyptians under cover of darkness. · Joseph returned with his wife and son into the Promised Land at the time of God’s choosing. This was just like when Moses led the people of Israel into their Promised Land at the time of God’s choosing. There can be no doubt that Matthew wanted his readers to notice these parallels. He doesn't want us to think that the terrible events associated with each of these parallels were initiated by God for some strange theological purpose. Matthew’s purpose is simple – right here in the Overture of his Gospel he wants us to now be on the lookout for all the stories that will demonstrate that Jesus is an even greater person than Moses. · The Law, as given by Moses, had become a burden, grinding ordinary people down. They had invented all sorts of fastidious, nit-picking and exclusive rules. Jesus challenged that with a new way. He wanted to lift people up and say that they were no longer excluded by failure but included in God’s Kingdom by love. · The observance of Moses’ law had become something focussed on externals. When Jesus came along he wanted us to go further. Our thinking and motivation should be the basis for good living. · The focus of Moses law was on judgement and punishment for sinners. Jesus came along, welcoming sinners and offering forgiveness and liberation. · The observance of Moses’ Law also led some to believe they could do it. Pharisees thought they could and Jesus hated their self-righteousness. He said none of us could do it. The only way it was possible was by God’s grace. That was how we would be counted as righteous and welcomed into his kingdom. So, Matthew doesn't want us to remember this story because Jesus was saved from destruction by the miraculous interventions of the angelic visitations. He wants us to begin thinking of Jesus as one who has come among us who is far greater that Moses. Only Jesus will show us the sure way to find peace with God. If this is why Matthew wants us to remember this story how do you think this should be reflected in the way we celebrate Christmas? You know all the tinsel and baubles we decorate the Christmas tree with. These began as all sorts of symbols of life and fruit. Perhaps we should start looking for the ways in which our lives show off the fruit of the Spirit. We know they have been ripening in the lives of those walking in Jesus’ way. I could string off a whole list of questions – but you know what this looks like.